The price tag works out to about £560 for us here in the UK - although Sony hasn't confirmed any official pricing or availability for the device outside Japan. The HMZ-T2 was quietly unveiled at the IFA trade show in Berlin last month, and is an upgraded version of the original HMZ-T1 headset Sony showed off last year. The headset has two 0.7-inch 720p HD OLED screens and is lighter than its predecessor with a redesigned headstrap. It also features ear buds instead of headphones for that 5.1 surround sound experience. Also on the improvements list is the inclusion of a "Clear Panel Drive" which is a feature that optimises the headset for fast moving content and support for the 24p frame rate used in cinemas and Blu-rays. 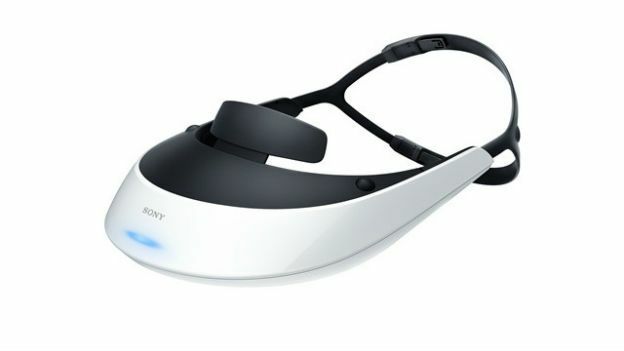 If you want to get a closer look at the headset, you'll need to head to Tokyo for the Tokyo Game Show where Sony is next showing it off.